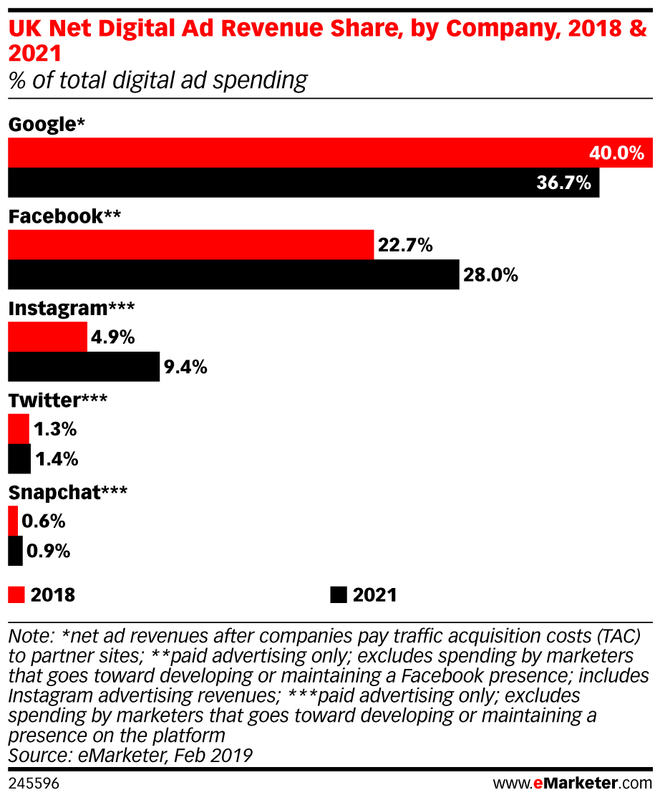 Google and Facebook's growing dominance of the UK digital ad market continues apace, with the duopoly's share set to grow to more than 63% this year and to 64.7% by 2021, according to eMarketer. This year, the overall digital advertising market will grow by more than 11% to hit £14.73bn, with Google taking a 38.8% share, similar to its share in 2018, and valued at about £5.72bn. Facebook will grow its share from 22.7% in 2018 to 24.5% in 2019, worth around £3.62bn. 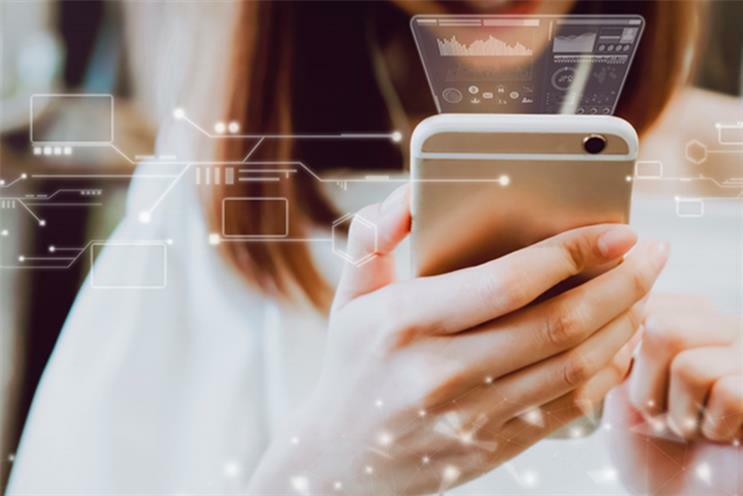 The latest data from eMarketer suggests that the two tech giants' combined share will increase by more than half a percentage point, from 62.7% in 2018. This is higher than their combined share of the US market, where it is 59.3% and where the duopoly is set to lose share this year, according to eMarketer. While nothing appears to be able to stymie Google and Facebook's growth, the tech giants are coming under increasing scrutiny over what many critics consider an abuse of their power. Last week, Google was fined €1.5bn (£1.29bn) by the European Union for blocking rivals Microsoft and Yahoo from selling ads in Google search results, while earlier this month chancellor Philip Hammond asked the Competition & Markets Authority to conduct a review of the UK's digital ad market. Elsewhere, Instagram – owned by Facebook – will deliver the most impressive growth, with eMarketer predicting the platform to increase share by nearly 52% in 2019, reaching £984.9m and holding 6.7% of the UK digital ad market. Its ad revenues are expected to break the £1bn mark next year. Twitter will command a 1.4% share in 2019 and Snapchat will have a 0.7% share. While clearly in second running to the former, Snapchat is experiencing more rapid growth, at 28.3% compared with Twitter's 15.1%. Snapchat's revenues are set to reach £100.1m in 2019 and exceed £150m by 2020. 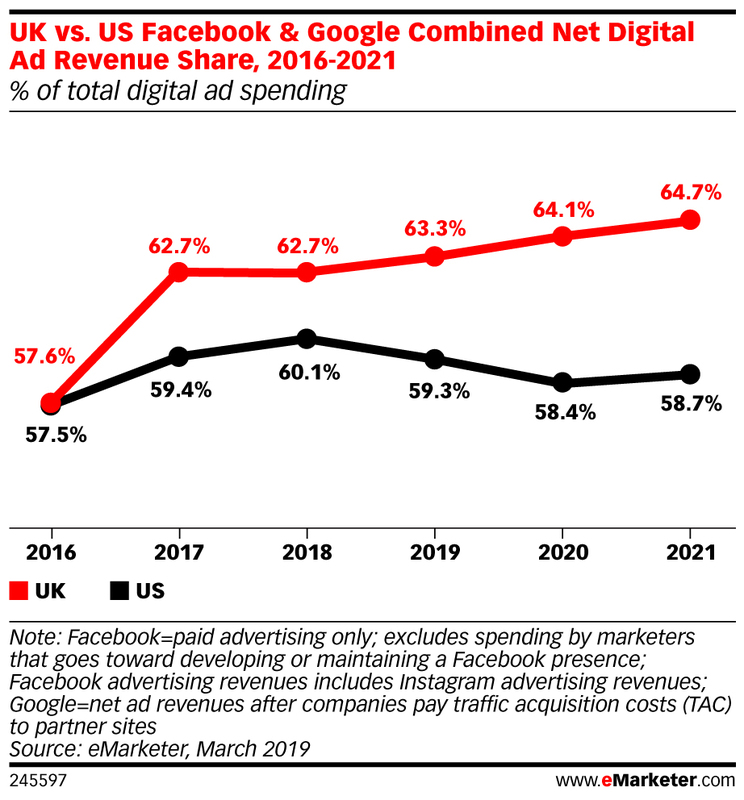 "The duopoly’s stranglehold on the UK digital advertising market is strengthening, with Brexit uncertainties being the main driver of this trend," eMarketer UK analyst Bill Fisher said. "In the first instance, digital is attracting ad dollars because there is less friction in terms of moving spend into or out of it. That’s something that cost-conscious ad buyers are particularly mindful of, given the current economic climate."